Chicago Nemesis has long held respect as a core value: respect for ourselves, respect for our teammates, respect for our opponents, and respect for the game of ultimate. It was with these core tenets in mind that we approached conversations with leadership from women’s ultimate communities and newly formed teams around the country, with Chicago Wildfire and AUDL leadership, and with one another. We spent recent weeks on a mission to listen and to understand the perspectives of all of these stakeholders. At this time, Nemesis will not participate in the formation of a 2018 women’s professional team. We made this decision for several reasons. Our focus for the months leading into club season will be on youth outreach and expanding women’s programming in our city. 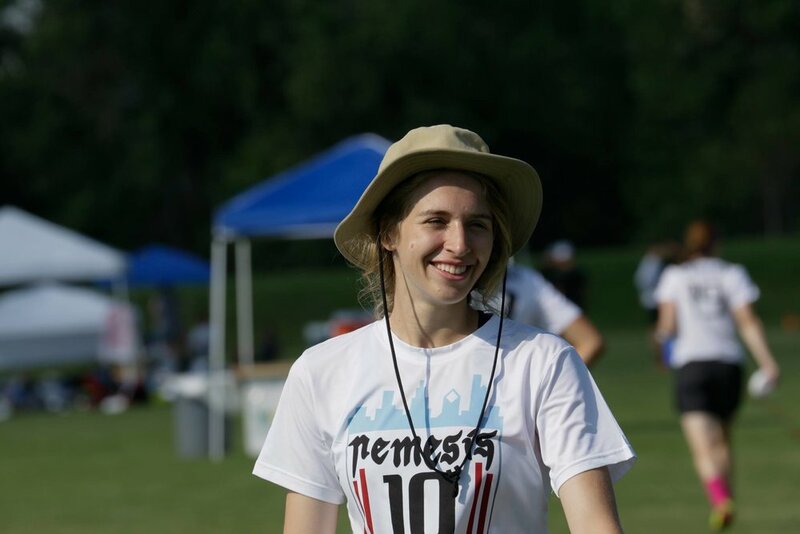 Nemesis players are coaching youth clinics on the weekends, operationalizing a women’s clinic series and spring league, coaching college teams, and prioritizing our integration in the Chicago ultimate community as a whole. We made these commitments ahead of time and the timeline of discussion around the formation of a women’s professional team happened too late for us to re-prioritize and reschedule all of our commitments. Furthermore, the rushed nature of the formation of women’s professional teams left us with concern for the quality of the product we could create on such short notice. We are firmly opposed to moving forward with any initiative without the rest of the Chicago women’s ultimate community involved, and to develop a selection strategy, select a roster, schedule games, acquire jerseys, practice together, and be ready to perform all in the span of a month is unreasonable if the goal is the creation of the high-quality product that women ultimate players, and the ultimate community at large, deserve. We spent a significant amount of time listening to leadership from within the AUDL and other women’s ultimate communities, but feel the timeline offered has not been enough for thorough coordination with the larger Chicago women’s ultimate community and we will not move forward on any professional plans in isolation. The movement for gender equity deserves to be done right, and rushing to push out an informal and unorganized product will not do justice to the amazing women playing ultimate in our region and elsewhere and jeopardizes forward progress. Although we decided not to participate in women’s professional ultimate for the 2018 season, we will consider playing non-club teams who may wish to visit Chicago and play against Nemesis in a showcase game on a case-by-case basis. Again, we want to be clear that we do not speak on behalf of all woman-identifying players in Chicago. In addition, we are open to exploring potential options for women’s professional ultimate for the 2019 season, with the right level of planning, diligence and preparation that ensures a level of inclusivity for all women who play ultimate in the Chicago area. We look forward to continuing to listen and participate in broader discussions of how to make our sport more equitable, and to revisiting the idea of women’s professional ultimate on a timeline that allows for the formation of an organized and worthwhile product of which the Chicago ultimate community and woman-identifying players everywhere can be proud. The only version of professional women’s ultimate which we will accept is one that meets our standards of respect for ourselves, our teammates and opponents, and our sport. Anything less would fail to move us further along the gender equity journey.